Last month I posted some information about DeWit garden tools. There are more choices for you to consider, as if those were not enough. Speaking of remembrance, DeWit says their tools are old-fashioned tools blended with new technology...forged for the future. They will not bend or break with repeated use, guaranteed by DeWit. DeWit believes their tools are the best garden tools in the world. They are hand crafted in Holland with European FSC-certified¹ ash hardwood handles, high-quality Swedish Boron steel heads, and many are forged to create a stronger product. Here are a few suggestions that your friends, family members, or you would love to find under the tree this year. The Dutch Transplanter has an extra long and narrow blade, which will dig out small, deeply rooted plants and weeds like wild onions. It is perfect, too, for working in between rocks in a rock garden. 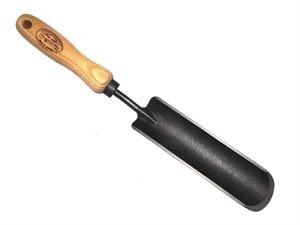 The Rock 'N Root Trowel is another handy tool for digging in confined spaces. It has a heavy duty, 3mm thick blade useful in heavy soils. 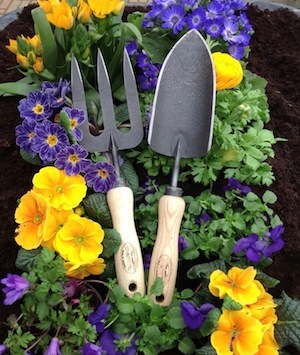 It is narrower than a transplant trowel, making it useful as well in rock gardens to chop out small roots and rocks without damaging the blade. Use it for transplanting into slim spaces. Does stoney soil or soil with gravel plague you? Then the Chelsea Eye Hoe is the digger for you. It will also make row furrows for your seeds or transplants. Need to dig up your potatoes? A shovel or garden fork always seems to find the biggest potato to slice or spear. The Chelsea Eye Hoe is a much less destructive way of pulling out your crop. If you have ever tried to pull weeds from between patio pavers or bricks, you know how frustrating this can be. Usually, the roots stay in the ground and you have the same chore to do over and over again. The Patio Knife is constructed to get the whole plant. It has a hooked side for joints and a knife side for beveled edges. 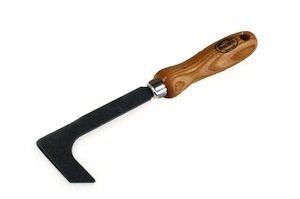 It is available as a short handled tool or as a long-handled tool for less stooping. If you want to get rid of annual weeds quickly and easily, the Cape Cod Weeder is for you. Just drag it under the mulch or across the garden bed. It will slice off weeds at the base, without disturbing the mulch. This popular tool comes in both a left hand and right hand model. 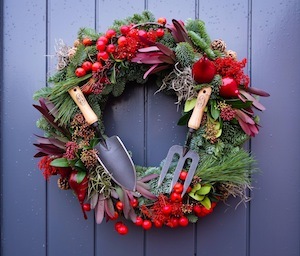 These are just a few of the small tools that will fit under your Christmas tree. Visit www.dewittoolsusa.com or online retailers and garden centers near you to find these quality tools along with their long handled collection. ¹FSC certified forests are sustainable forests, replanted to keep the forest intact. The FSC (Forest Stewardship Council) is a government entity that oversees this green initiative and certifies that the hardwood comes from sustainable forests.